boat, sidewalk, roof, or restaurant hood. chamber, increasing or decreasing the foam output. maximizes dwell time on the surface that needs to be cleaned. 1- roll of Teflon tape, 2- Fittings, and 1-QC coupler. wrong. 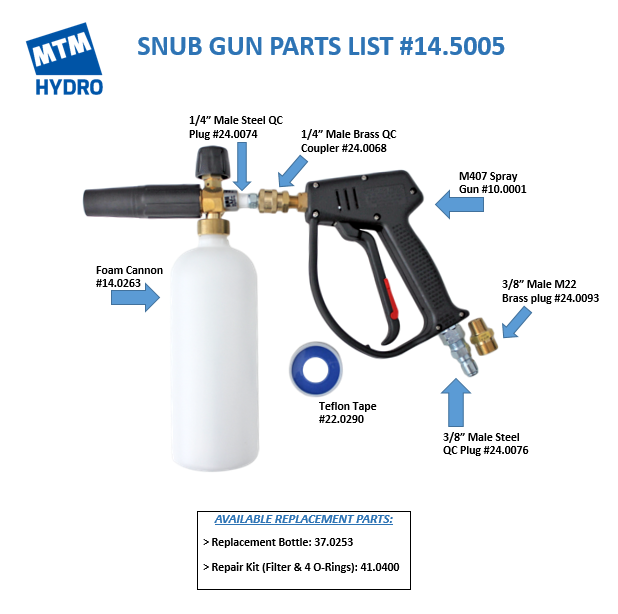 If it doesn’t say MTM Hydro on the nozzle, it is not the quality you expect.